Welcome to the TextSpeak Notify! Cloud Portal. 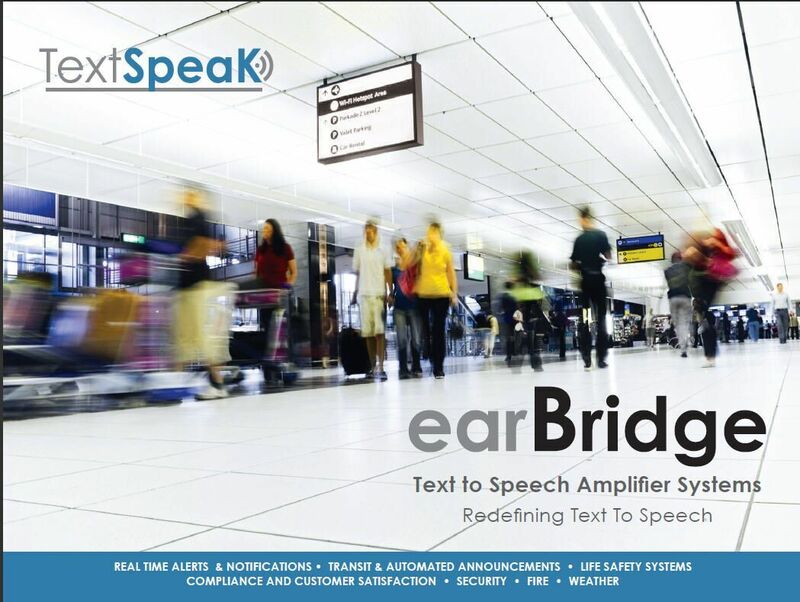 Click to download our 2016 product brochure, and learn how Textspeak is redefining Mass Notification, safety alerts and announcements. Register, setup and manage your earBridge amplifiers and users. 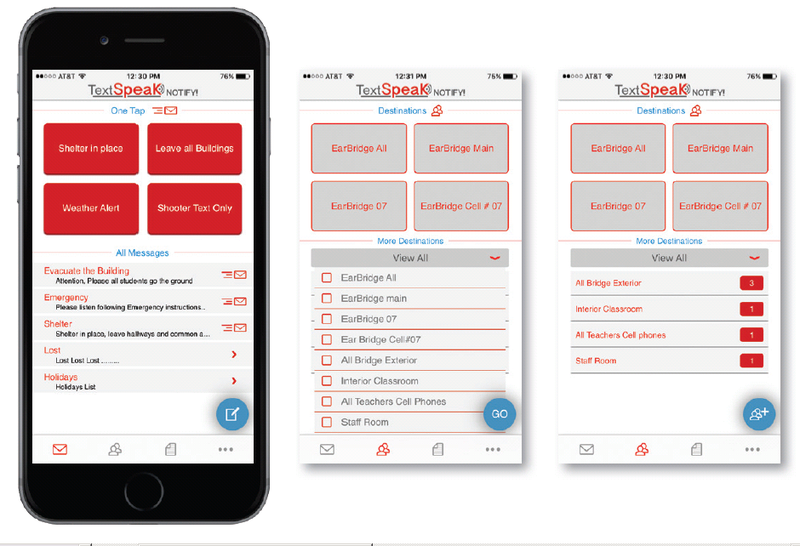 Create groups, and set privileges for TextSpeak Notify! 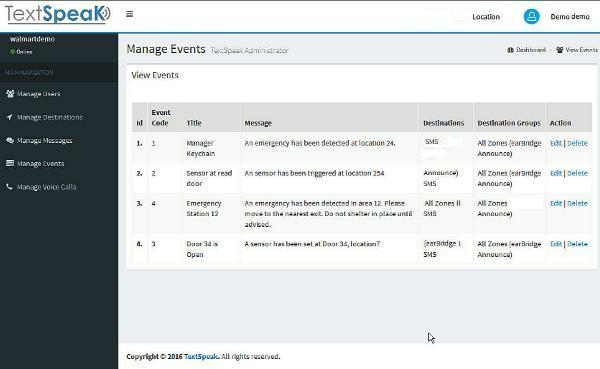 Make announcements and alerts to all your earBridge amplifiers, phones and user groups and from anywhere at anytime. 1. Start at the iTune APP store and search for "TextSpeak Notify"
2. Install the app on your iOS device. 3. Login with your registered user name! 4. Whenever a new version is released you will recieve an email on your registered email address. 1. Start at the Google Play Store and search for "TextSpeak Notify"
2. Install the app on your Android device.